 According to Projecto Observación Visual Volcán Villarrica (POVI), satellite images of Villarrica acquired on 25 July revealed a weak thermal anomaly. On 29 July observers photographed the crater and described a thermal anomaly on the S edge of the crater rim, in the same area from which a lava flow originated on 29 December 1971. They also heard deep degassing sounds. A second photograph showed a diffuse gas plume rising from the bottom of the crater, and ash and lapilli on the snow on the inner crater walls.